On 28th March, Bowland Brewery announced on its website that their three bottled beers would henceforth be available in all Spar shops throughout the Northwest. Six weeks earlier, I had noticed them in my local Spar and had bought a sample of each one. 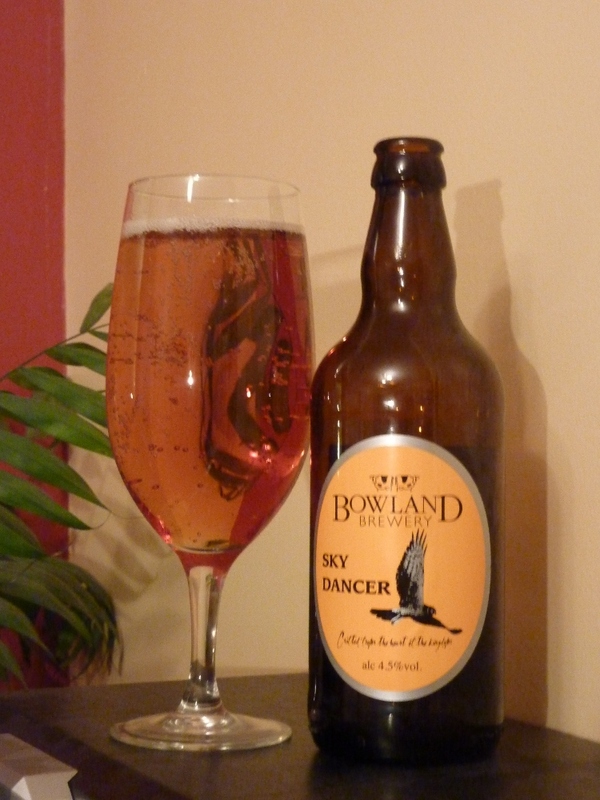 Bowland Brewery is based in Bashall, a few miles from Clitheroe in Lancashire. 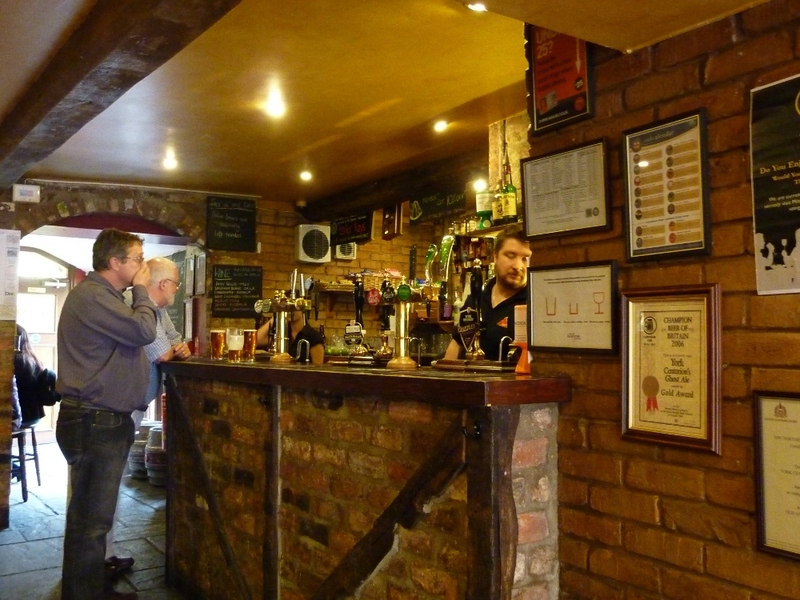 The brewery is located within the beautiful Forest of Bowland. 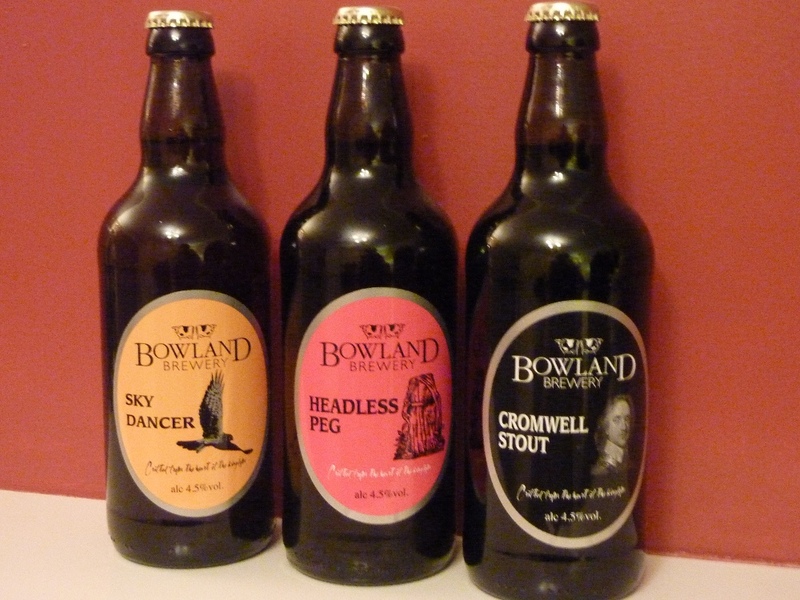 The three ales that Bowland regularly bottle are Sky Dancer, Headless Peg and Cromwell Stout. 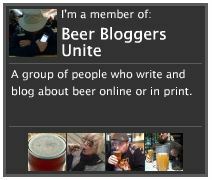 All are 4.5%, which stumps me as I like to drink from low to high ABV. This time I’ll go from light in colour to dark. Sky Dancer is named after the Hen Harrier, a rare bird of prey that breeds in the Forest of Bowland. It is a golden ale, pale orange in colour. It has an intriguing smell of hops and peaches. The peaches carry through into the sweet, fruity initial taste, where they are joined by citrus notes. The taste rolls seamlessly into a good hoppy bitter finish. 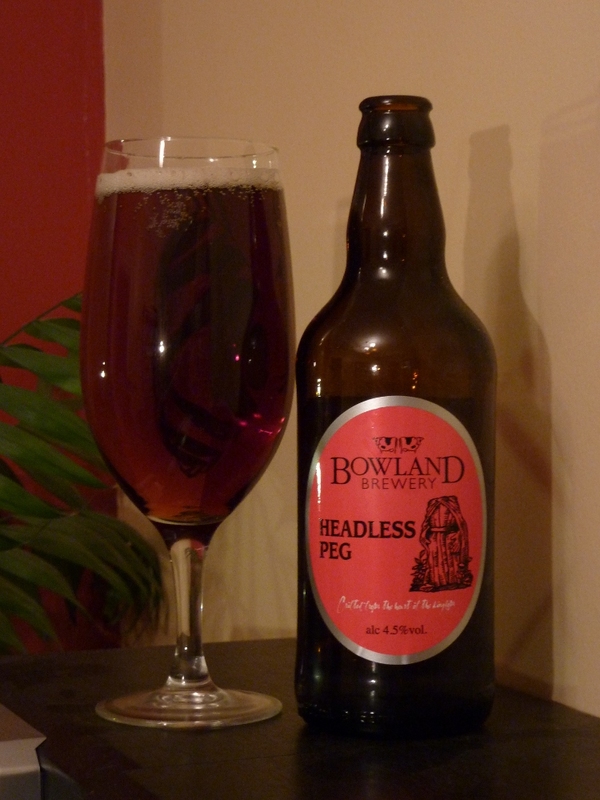 Headless Peg is named after a local servant girl, or water spirit (accounts vary) Peg O’Nell, whose headless statue (or at least a statue of St Margaret of Antioch, beheaded by the Romans) stands at Waddow Hall, close to the brewery. It’s complicated. There’s a good round-up of the legend here. The beer is a deep ruby-red bitter. The initial hit is of dry bitterness, surprisingly bitter, in fact. There are strong fruit notes which go some way to mitigating the bitterness. Tastes like raisins. The finish is really quite dry and bitter which makes the beer refreshing and always interesting. 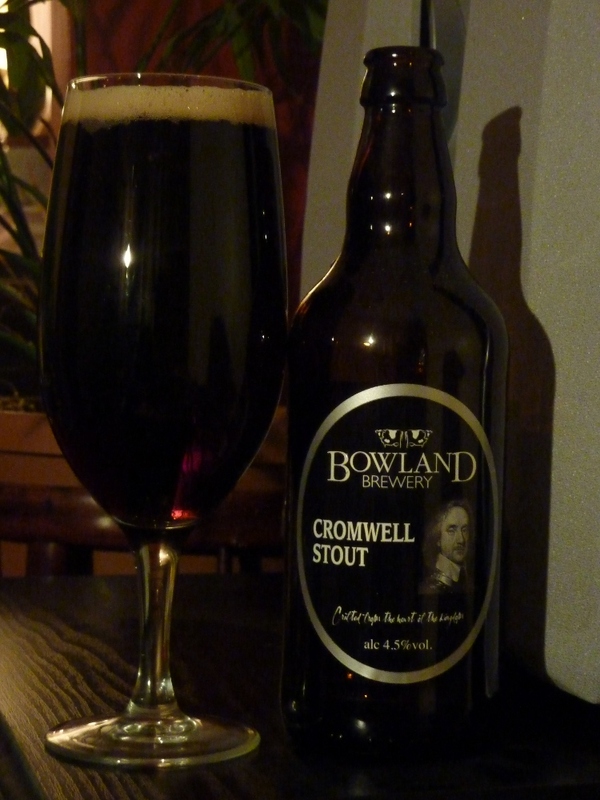 The last of Bowland’s bottled beers is Cromwell Stout. Named after one of English history’s most horrible men, who apparently passed through Clitheroe on his way to the Battle of Preston in 1648. His ‘warts and all’ image winks cheekily from the label, a gesture which he would have personally frowned on, after all, he made laughing in public and the celebration of Christmas criminal offences. The label states that this beer is a ‘puritanically wicked stout’. Here we see how words evolve over time. In Cromwell’s time, wicked meant really mean, nasty and evil (like the man himself). Now apparently it means really, really good. In both cases the label fits. Cromwell was 17th century wicked, Cromwell Stout is 21st century wicked. It is a deep red colour, black in most lights. There is a distinct hoppiness about the taste, which has dark chocolate notes and a hint of bitter fruit. Wicked. Bowland Gold. A 4.2% amber-coloured bitter. Very smooth and tasty with notes of citrus. Not really bitter, but with a slightly bitter twist at the finish. Bowland Hen Harrier (there’s that bird again). A bright yellow 4% bitter. A lovely ‘summery’ beer with prominent floral notes and plenty hops. Bowland Sawley Tempted. An orangey brown 3.7% bitter. Quite smooth, light, hoppy and drinkable.